If you want an upgrade don't pre-order a vegetarian meal. And why you should never travel in shorts. 10 expert travelling tips that air crew learn in training. Write your name, home town and email address on a sheet of A4 paper. Get it laminated and put it inside your suitcase to identify it, if your baggage tags fall off. Photocopy your passport and leave one with someone you trust at home. It sounds like overkill, but cabin crew keep photos of their passports on their phones as well. Don't order a vegetarian meal in advance. Crew say veggies hardly ever get upgraded, because there might not be a suitable meal available up front. You're most likely to be moved to the bigger seats if you're in the airline's frequent-flyer scheme and don't have any special dietary requirements. Put your phone charger and plug adaptor in your hand baggage. Crews know how often planes are delayed or diverted and don't risk dead batteries in strange countries. It's also second nature for crews to turn off data roaming before leaving the EU. Keep a change of underwear in your hand baggage. It won't take up much space but it will tide you over till the shops open if your main bag is delayed or disappears. 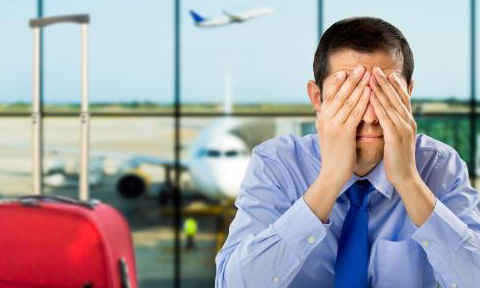 Travel insurance isn't much use if no one knows who your policy is with. Tell your travel companions (and someone at home) who they should call for help if the worst happens. Always keep medication in original packaging, ideally with a copy of your prescription, in case you're questioned at customs. If you're found carrying a stash of hard-to-identify pills, your immigration experience is unlikely to go well. Never fly in shorts - because you never know where your plane might land. A recent Swiss Air flight from Zurich was heading for Los Angeles where it was 21C and sunny. But after a technical issue it spent nearly 12 hours in Greenland - where it was -21C and snowing. Don't fly in flip-flops either. Emergencies are incredibly rare, but if they happen you want to be in sensible shoes. If you use the safe in your hotel room put a single shoe inside it, along with your valuables. Looking for that missing shoe should remind you to empty the safe when you pack to leave. For more cabin crew secrets, read Welcome Aboard! by flight attendant Neil Jackson, available on Amazon. If you want an upgrade don't pre-order a vegetarian meal. And why you should never travel in shorts. 10 expert travelling tips that air crew learn in training. Several popular iPhone apps are secretly spying on your screen and taking pictures of your bank details. Hotels.com, Expedia and airlines such as Singapore Airlines and Air Canada track your every tap and swipe, sometimes without even asking for permission. Their dodgy snooping was uncovered by a recent TechCrunch investigation which found several apps that take pictures of your screen to secretly follow how you use their software. They found Air Canada's iPhone app wasn't properly masking out sensitive data during the session replays exposing passport numbers and credit card data. Just weeks earlier, Air Canada said its app had a data breach, exposing 20,000 profiles! 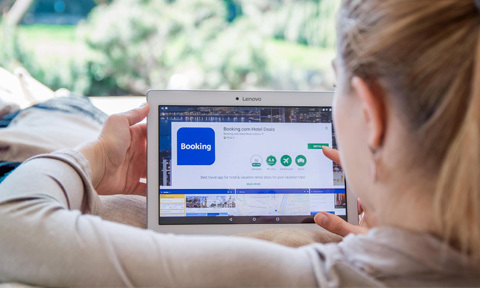 We reported in November 2017 that the Competition and Markets Authority (CMA) was investigating Expedia, Booking.com, Hotels.com, ebookers and trivago over high pressure selling tactics and misleading discount claims. Their probe centred on how much search results were influenced by the amount of commission hotels pay the sites and whether claims about how many people are looking at a room or how many rooms are available rush consumers into hasty decisions. It also looked at the accuracy of discount claims and the use of hidden charges, including taxes and booking fees. The CMA was concerned the sites were making rooms seem more popular than they were. The sites will now say if commissions they receive affect the results and they have also agreed to be clearer with discount claims and hidden charges. Travellers flying out of Gatwick Airport may soon have a robot parking their car. 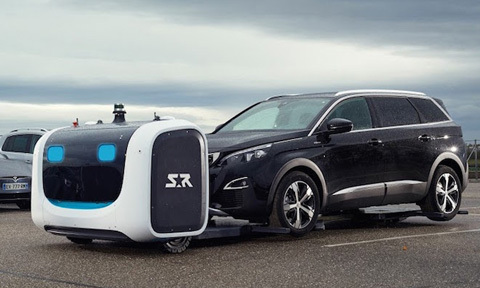 Later this year, the airport will test an autonomous robot that slides a large, slender bed beneath vehicles and carries them to parking spaces in the car park. The airport plans to experiment with this robot parking system in one of its long term car parks for three months, according to an application it filed with Crawley Borough Council in December. easyJet is raking in more than £3 million a day from 'add-ons' as the number of passengers paying to choose their seats and check in bags has soared. The budget airline said it was paid more than £1.2 billion in extras, which also include its improved range of on-board food and drink in the year up to October. 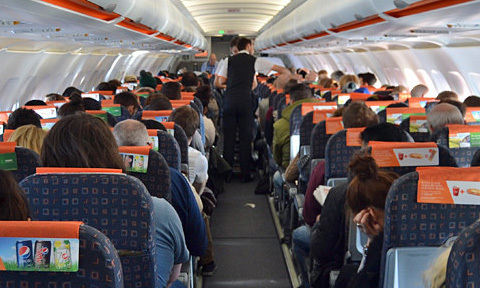 On average, passengers are paying almost £14 for extras on top of their fares which has helped drive up easyJet's total profits by 43 per cent to £578 million. Its biggest rival, Ryanair, makes even more from add-ons with latest results showing it made almost £1.16 billion from extras in just six months. British fliers should prepare themselves for a new breed of cramped aircraft lavatories. 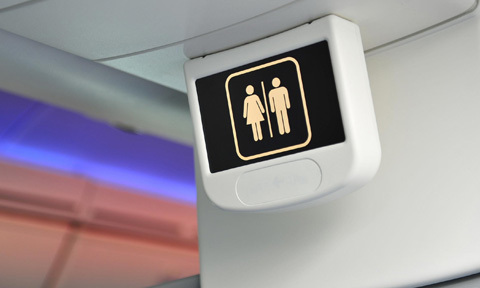 Both Boeing and Airbus are increasingly bowing to demands from airlines to make on-board loos more compact so they can pack in extra passengers. The newest Boeing 737 aircraft, already used by several US airlines and being delivered to European carriers including Ryanair, feature cubicles just 24in wide - down from the 34in offered on previous models. Complaints have been flooding in from American passengers struggling to use the tiny facilities, with many posting images on social media. Taller fliers reported having to duck to avoid hitting their heads, while the sinks are said to be so small that it is impossible to wash both hands at the same time. 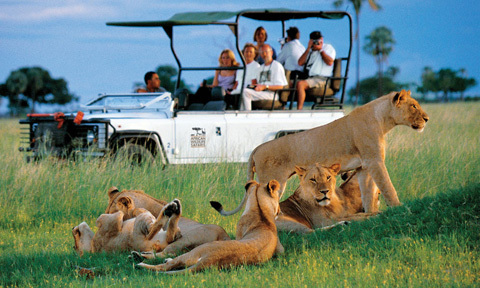 Botswana offers the best safari experience in Africa, according to analysis of more than 3,000 reviews and expert opinion. The landlocked country pipped second-placed Tanzania and third-placed Zimbabwe to the post in a ranking coordinated by SafariBookings.com that included the views of 22 guidebook authors. The panel of experts agreed that Botswana's rich wildlife and the contrasting landscapes, from the dry Kalahari Desert to the green Okavango Delta, make it the best country for the ultimate safari experience. Norwegian, the low-cost carrier that offers flights from the UK to about a dozen US cities, has quietly scrapped airport lounge access for its premium ticket holders. Only those who pay for a PremiumFlex fare, which costs considerably more, will retain the benefit. The change applies to all bookings made since December 21. Passengers who booked flights in recent weeks have complained that they were not told about the changes. 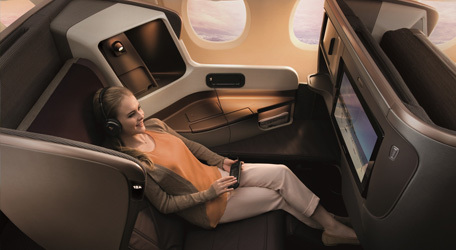 Previously, Norwegian was the only major airline operating in the UK to offer lounge access to those who buy a premium economy fare - albeit only for those taking a long-haul flight. The Royal Geographical Society has warned adventurous tourists that getting too close to exploding volcanoes puts them at risk and can hamper the efforts of emergency services. 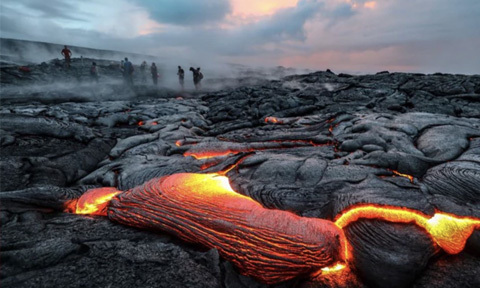 In a new study, the RGS says that people who take part in the increasingly popular activity of 'volcano tourism' in places such as Iceland and Hawaii are often not familiar with the dangers involved, including flying rocks, lava bombs and poisonous gases. British Airways will return to Islamabad next summer for the first time in 10 years, the airline has announced. Flights to the Pakistani capital were halted in 2008 amid security concerns in the wake of a terror attack at the city's Marriott Hotel that left 54 dead. However, from June 2 the British flag carrier will fly to the Asian city three times a week from Heathrow on its 787 Dreamliner aircraft. Passengers on the service, which is available to book now from £499 return, will arrive in a city famed for its culture, heritage and cuisine. 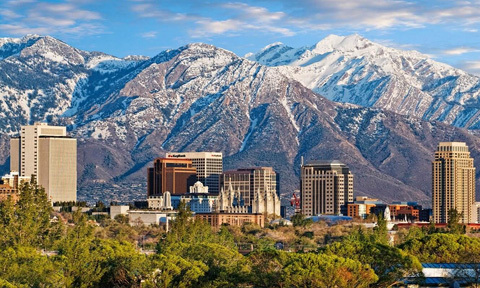 This is one of four long-haul offerings being launched to mark the airline's centenary year - alongside Pittsburgh, and Charleston in the US and Osaka, Japan. Pakistan's national airline is cracking down on what it terms the "excess weight" of some of its cabin crew. 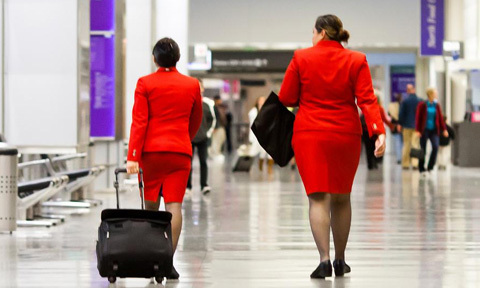 A memo sent to around 1,800 crew working for the airline says they have six months to slim down to required limits or face being grounded.The carrier has issued crew with a suggested weight chart which takes into account various heights and body types. Designed in the style of a Sheikh's summer residence the Jumeirah Al Qasr in Dubai is the epitome of Arabian palatial luxury. Set on a beautiful private beach this hotel offers all you could want and more. Talise spa and fitness centre, a choice of restaurants and bars, a range of watersports and free access to Wild Wadi Waterpark. Plus the hotel has its own theatre and kids club. Save 40% and get a free upgrade to HB with this 3 night offer including flights from £979pp. 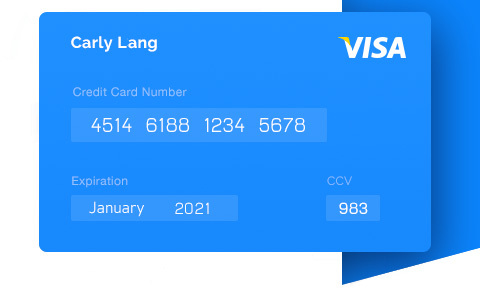 Valid 2nd June - 9th July 2019. Jumeirah Port Soller Hotel & Spa sits atop the cliffs of Mallorca between the UNESCO World Heritage Tramuntana mountains and the Mediterranean Sea. The views and sunsets here are amazing. And having undergone a total refurb it is now ready to open its doors to guests looking for the ultimate in Mallorcan luxury and escapism. There are three restaurants, two bars, three heated pools and an award winning Talise spa all for your ultimate enjoyment. Save 20% with our 4 night offer staying in a Deluxe Mountain View Room, with breakfast and flights from £829pp. Valid from 10th - 24th May 2019. 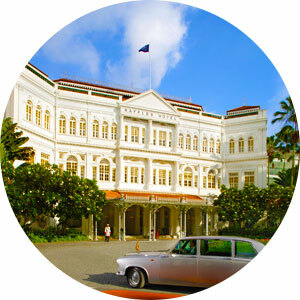 After a 2 year extensive refurb programme the iconic Raffles Singapore hotel will be fully restored by late summer. And you could be one of the first guests to see it in all its glory. Raffles Singapore is one of the few remaining great 19th century hotels left in the world and is in the perfect position to explore everything the small but beautiful island of Singapore has to offer. Save 15% with this 3 night offer from £1415pp, including breakfast, transfers and flights with Singapore Airlines. Valid 12th August - 28th October 2019. 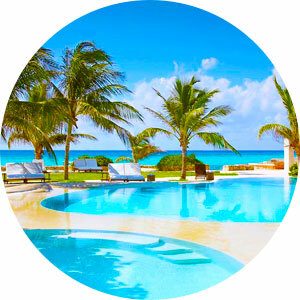 The award winning Viceroy Riviera Maya is an intimate and serene luxury resort, located on a vast white sandy beach and encircled by tropical forest, in the centre of this stunning area of Mexico. The Wayak Spa offers a tranquil setting for a complete unwind and the two restaurants offer authentic Mexican dining experiences. This is the perfect setting to explore the stunning Riviera Maya with its ancient cities and ruins. Save 20% with this 7 night B&B luxury villa holiday including flights and private transfers from from £1879pp. Valid 1st - 30th June 2019. 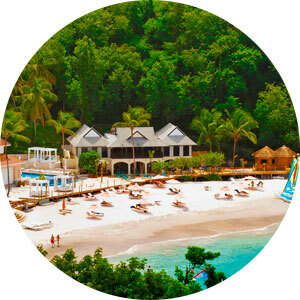 Set on a secluded cove with a white sand beach and lush tropical gardens, BodyHoliday Saint Lucia is an idyllic haven created purely with your wellbeing and serenity in mind. 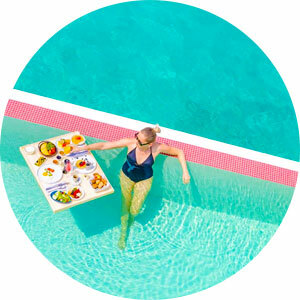 Do as much or as little as you like at this all-inclusive resort with its 5 star restaurants, inclusive daily spa treatments and an enviable list of activities from yoga to sailing, tennis to biking, or you just can enjoy the endless peace and quiet. Save 40% with this 7 night all-inclusive offer including flights from £2095pp. Valid from 19th May - 21st September 2019. If Maldives luxury is what you want then the new LUX North Male Atoll has stepped it up a notch. Every luxurious double storey residence features a private pool with a view and a magnificent rooftop terrace for chilled sunset drinks, an exclusive barbecue or an evening of star gazing. There are 2 restaurants, ice cream parlour, a wellness spa and outstanding diving experiences around the island. Our offer includes 7 nights accommodation in a water villa, HB upgrade, transfers and flights from £3185pp. Valid 1st May - 20th June 2019. 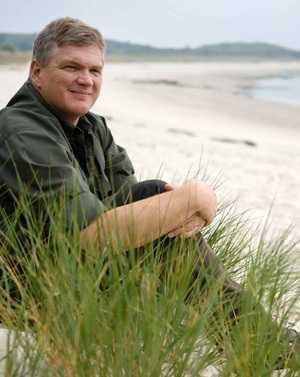 The only beach Ray Mears likes...a deserted one! Your earliest travel memory? It is when I was growing up in Nigeria. I was in Lagos for the first five years of my life as my dad managed a print works that did banknotes. I've been back once since, but it's changed so much I would barely recognise it today. What's your favourite destination? Northern Finland is majestic - it's such a pristine environment. I was 62 miles north of the Arctic Circle, near Lake Inari. It's all towering pine forests and the bird life there is amazing, despite the harsh seasons. How about beach holidays? I can't stand them... unless it's a deserted beach and I'm there to watch wildlife. Off screen, I like doing what I do for work, so canoe trips, scuba diving and excursions into the bush are perfect. I find scuba diving a great way to unwind. 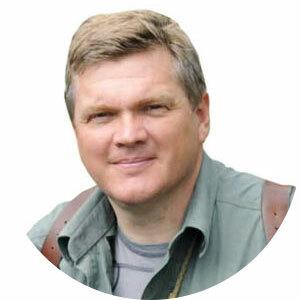 What's the main challenge being a wildlife expert? It's time and patience, but I like the challenge. Once I travelled in the southern ocean, off the south coast of Australia, to spot a blue whale. We saw all the signs, including lots of krill, but we just didn't intercept a pod of whales. What's the rarest animal you have seen It has to be a Bennett's tree kangaroo in Queensland. It has the body of a kangaroo , but the face of a teddy bear. I've been lucky enough to make several wildlife series in Australia - echidnas, whale sharks - you name it, we saw it. Your favourite city? London is the most amazing city on the planet and has something for everyone. Santa Fe in New Mexico is beautiful and has deserts and the snow-capped Sangre de Cristo Mountains side-by-side. The people are friendly and the food is amazing. Early spring is particularly pretty. Your favourite food? The best food I've had in restaurants is in France. The French chefs have astonishing training and the general population has a good understanding of food. Yet nothing beats simple campfire cooking. I have so many wonderful memories of it, including the 10-year-old African boy who showed me how to cook breadfruit over a fire pit. What don't you enjoy about travelling? I detest dealing with all the surly security staff at airports. If you travel as much as I do, you know they're telling you porkies about problems. Or they treat you like sardines. What has surprised you on your travels? How passionate the Japanese were about nature. I was in the country for the sakura, the cherry blossoms. You think they are all about the busy urban areas, but I loved watching the couples going out and discussing the merits of the blooms. I live in a part of Britain where there are lots of cherry blossoms and nobody really stops to appreciate them. I thought Hokkaido was stunning. Best holiday tip? Travel with as little hand luggage as possible. That's what the hold is for. Knowing what big airports are like, I really want to be able to run for a flight if I've got a tight connection. You've got to be a sprinter to catch flights in Minneapolis. I had not flown long haul for some years and was understandably anxious. My friend immediately recommended DialAFlight and made the initial call with my requirements. From then on Chris and Jonathan took excellent care of me, finding the perfect flights and answering all of my questions with good humour and expertise; if they were not available one of the team was always happy to help. For me it made a huge difference to know I was not alone on the journey, especially as due to flight delays I spent the first night in a London hotel rather than San Diego! I can't recommend DialAFlight highly enough, and look forward to my future travels with them. Catherine McColl gave DialAFlight 5 stars on Trustpilot. Sparkling footnote: Catherine's name was pulled out of the hat in our monthly Trustpilot draw and a case of Prosecco is on its way. I was recommended by a friend who had travelled to Australia and was so complimentary of the service she received I thought I would give them a go and I wasn't disappointed! Barry was so helpful knowledgeable and nothing was too much trouble even when I changed my return flight date and destination. It was a holiday in a lifetime to Australia and I received first class customer service and will definitely be returning to DialAFlight, thank you. Lynn Barbara gave DialAFlight 5 stars on Trustpilot. Like having your own personal travel agent! My husband and I have just returned from our latest trip that we booked through DialAFlight. As always everything was perfect. Once, we had an issue with a hotel in Indonesia and one call to DialAFlight and we were moved straight away. Several times I was having such a great time on holiday that I called Jane to delay my return trip and every time she has managed to change my flights. Because we have booked with Jane so many times she now understands what types of hotels and flights we prefer and gives us quotes that suit our tastes without asking. 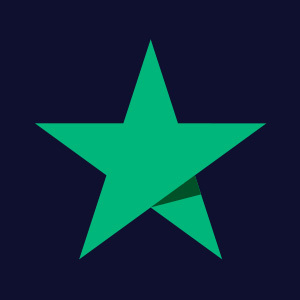 Frances Lynch gave DialAFlight 5 stars on Trustpilot. I could not have asked for better customer service. All of the people I spoke with in the team were helpful with nothing being too much trouble. They put my mind at rest from the outset and kept me up to date when it was felt there could be a problem. They were honest about prices, which I did not find was the case with all the companies I checked out. Travelling to Australia on my own was a little daunting but they made it simple. What a great company I would not hesitate to use them again and would definitely recommend them to fellow travellers. Catherine gave DialAFlight 5 stars on Trustpilot. Jan: Sunshine for Sale. Where are you finding yours this year? Oct: Hopeless airlines, hapless parkers and hairy hurricanes. It's Groundhog Day! Sep: Your travel. Who can you really trust? Jul: Airlines sneak in £20 charge for booking by phone. We do it for free! Jun: Exploding the myths about All Inclusives. They don't save you money and they don't make you sick! May: It's official. Travel agents are the new status symbol. May: Novel way for us to save the day! Apr: Missed out on Glasto tickets? Jul: Who are the winners in Greek meltdown?